Divanhana performs traditional music in new arrangements created under the influence of jazz, pop and the 20th century classical music. Divanhana's intention is to present the urban traditional music, not only from Bosnia and Herzegovina, but the traditional music from the whole Balkan region, with a particular accent to Sevdalinka. The band was founded in early 2009 by a group of young students from the Sarajevo Music Academy. Band recorded its debut CD “Dert” in February 2011 at the Fattoria Musica studio in Osnabruck (Germany) in cooperation with Vanja Muhović. The album was produced by Walter Quintus, one of the most acclaimed world music producers. It was released in May 2011 as a result of a two-year ethnomusicologist research reflected by the fact that some of the songs on the CD were never recorded or published before. 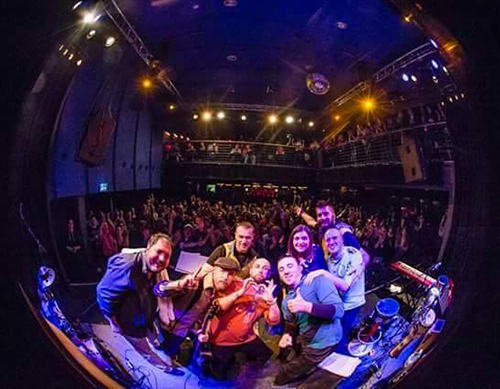 After the successful and inspiring experience with the debut album, the band continued to cherish the Balkan traditional music. In September 2011, they began to work with a new singer, young Leila Ćatić. With the very first single “Evo srcu mome radosti”, featuring Sanel Redžić, acclaimed classical guitarist who has been showing great results all over the world, they gained attention of the public in Bosnia and Herzegovina as well as the whole region. In 2012, Divanhana was invited to take part at two prestigious festivals, one in Porto, called “12 Points” - as the only representative from the Balkans. 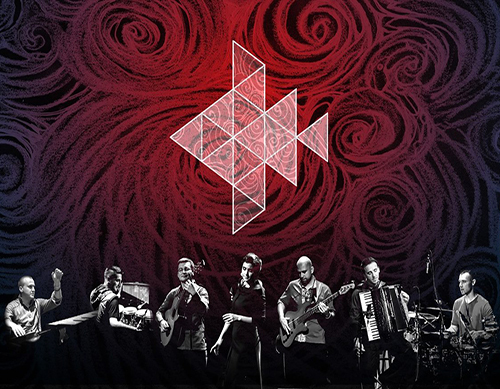 At the same time, the band was selected to participate at the most important world music event WOMEX (World Music Expo) in Thessaloniki (Oct 2012). The same year, touring brought the band to the festivals in Central & Eastern Europe: Hungary, Slovenia, Croatia and Serbia. In between the concerts, the band was constantly recording, this time in Belgrade. Among the other recorded songs, singles “Crven fesić”, “Ko se ono brijegom šeće” and “Emina” achieved great success with the audience. 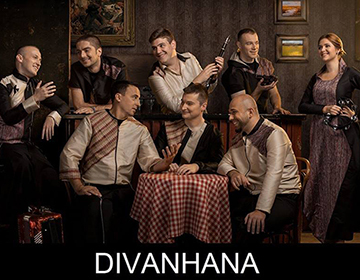 At the beginning of 2013, Divanhana started its first European tour, delineated by successful concerts in Sweden, Germany, Czech Republic and Turkey, during which the band enlarged its audience and met new friends. Most of the arrangements and ideas were born on the tours: behind the scenes, on the wheels, in the honest and intimate relationship with the audience. The album “Bilješke iz Šestice” (released in November 2013) crowned the two years touring, travelling and creative work of the band. They have proudly performed at 70 successful concerts in 13 different countries. “Bilješke iz Šestice” was published at the end of 2013, by RSG Radio from Sarajevo for the market of Bosnia and Herzegovina and by Multimedia Music from Belgrade for the market of the Balkan region. After the CD release, the band had around 50 concerts in Bosnia, but also continued to tour Europe, adding France, Germany, Italy, Switzerland, Belgium, the Netherlands, Austria, Norway and Albania to their tour map. Due to the extraordinary interest of the audience, they performed four times at the Balkan Trafik Festival in Brussels. 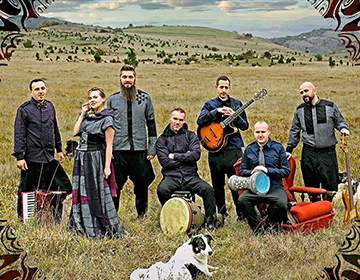 In May 2014, they published a single “Zvijezda tjera mjeseca”, which was recorded as the official song of the national football team of Bosnia and Herzegovina, celebrating their participation at the World Cup in Brazil. Soon afterwards, the song became a regional hit. It features the Macedonian trumpet king Džambo Agušev and the guitar virtuoso, Emir Hot from Tuzla who has been living as an accomplished performer in London for years. Numerous concerts across Europe followed. In February 2015, the members of the band, along with the master producer Borjan Milošević, took a short break from the dense concert schedule to record a new material in an intimate atmosphere of the Fattoria Musica studio in Osnabruck. In May 2015, Divanaha stopped the tour, dedicated to publishing of the new, the third, studio album. In a creative mess of the Long Play studio in Sarajevo, the band experimented with the sound and enriched their art with the tunes of Slavonian tamburica, the softness of Boško Jović’s classical guitar and Lana Kostić’s cello, virtuosity and creativity of the Serbian violinist Filip Krumes and, finally, in collaboration with the young and talented sevdah performer, Naida Čatić. Inspired by Zukva, a sour apple that grows in Bosnia and Herzegovina, as a symbol of the strong roots of historical and cultural heritage of Bosnia and Herzegovina, the band continues its journey across the Balkan region, collecting in their music bag the rich musical heritage of the people who live there, tune by tune, like small apples. On that wriggly path, as the Zukva tree, they are meeting radiant faces of people from different traditions and customs, grafting its own music with the unique approach to other traditions, presenting it in the music the shape that you are listening right now. The album “Zukva” was published by the Belgrade Multimedia Music for the region of the former Yugoslavia, and by the Great Britain’s ARC Music for the whole world.